Associate: Mr. Mark Jones Jr.
Mr. Mark Jones Jr. is a husband, father, experimental test pilot, and mathematician. He is a 1999 Distinguished Graduate from the United States Air Force Academy and an East West Fellow from 1999-2000 at the University of Hawaii. 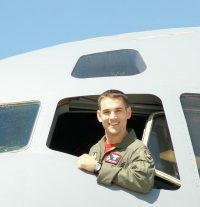 Mark flew the C-17A Globemaster III in Operations Enduring Freedom and Iraqi Freedom. He received his master’s degree in mathematics and was the Outstanding Graduate in Mathematics from the University of Charleston in 2006. In 2008 he graduated from the United States Air Force Test Pilot School with a master’s degree in Flight Test Engineering. Mark transferred to the United States Air Force Reserve in 2011. 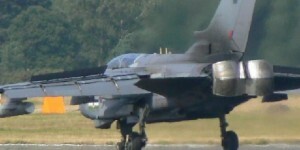 As a civilian Mark consulted for the Department of Defense and various aircraft manufacturers from all over the world. Currently he is a Designated Engineering Representative, Flight Test Pilot for the Federal Aviation Administration. Mark has experience in flying more than 30 kinds of aircraft and holds Airline Transport Pilot and Multi-Engine Instructor certificates. Mark has taught courses as an adjunct faculty, a military instructor pilot, and an experimental test pilot. He currently is a member of the AIAA and Society of Experimental Test Pilots and serves on the Board of Directors for the Society of Flight Test Engineers.